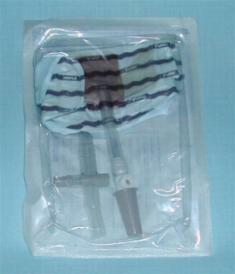 For use with sheaths and catheters. Tube is 10cm in length. 500mls capacity, requires straps or holder for securing to the thigh. SKU: 089. Category: Incontinence Products. For use with sheaths and catheters. Tube is 10cm in length. 500mls capacity, requires straps for securing to the thigh.